Well, we’ve arrived to the point where everything digital is now moving towards a mobile-first dominance, at lightning speed. Yet for some reason, marketers still see (and for the most part, accept) poor mobile conversion rates as the nature of the beast. In general, we’ve seen conversion rates up across all types of devices in the past few years but mobile conversions rates are still averaging about 1% in most industries. The biggest turning point in this ‘myth’ came in 2014 when the number of mobile phone users beat out the number of desktop users for the first time. Considering where mobile conversion rates were in 2014 (in 2014’s Q4, smartphones globally converted around 1.2%, with desktop was converting at 4.15%) and where they are now , we think it’s time to bust the myth that users on mobile won’t and can’t convert! Start at the Beginning, What’s the the Goal of Your Mobile Conversions? It’s so easy just to think sales when we hear the word conversion these days but that’s only contributing to this whole mobile conversion rate myth. Conversion isn’t about sales, it’s about getting your customers to do whatever it is you’re wanting them to do. A pretty open definition but it works because conversion goals and rates will differ wildly between businesses. One conversion for your business could be getting your subscribers to open an email and follow a link to content on your site. For another business, their conversions could come from getting customers to download an app. What conversions on mobile mean for you and your business will be unique and completely up to you! Last year, a study came out from a research firm with a startling statistic that quickly summarized just how connected we are to our phones. The average mobile device owner touches their phones 2,617 a day! The top 10% of the heaviest phone users? 5,427 a day! So if that’s the case, surely some of those touches are opening up your email or following your link from a social media ad. And from those, surely some will convert. Well, the study also found some clues to point to the poor mobile conversion rate so many marketers have accepted. What this study is laying out is in order to get better conversions on mobile, actions that are quick, simple, and fast for your customers could be the most effective. Consumers today do not put up with slow-loading pages, broken images, or a frustrating experience, no matter how exciting or exclusive the offer! If your mobile app, email, or website is giving your readers and customers a great, easy mobile experience than expect higher than the industry average conversions rates. And if not, well you should know better! Marketers have been talking and stressing for years the importance of design, responsiveness, and optimization for the mobile side of your business. Before it might not have been the case, but now in 2017, building a great mobile experience for your customers will quickly make or break your marketing campaigns. On a full-screen desktop, navigating through multiple clicks and opening a few windows is no big deal, on mobile it can be a nightmare. Go through the process yourself (or a friend who isn’t familiar with your online presence), navigate to your site from a social media profile and go sign-up from emails on a tiny iPhone. Did you get a headache? If so, make changes. One of the most noticeable hang-ups customers have on mobile is the size of their screens weren’t considered. When you’re designing content, forms, or sign-ups, keep in mind the small screens that we’re looking at more and more these days. Smart watches too! Ensure all CTA’s are at least 45 pixels in size, that’s about the size of the average fingertip. Definitely have your emails optimized to be mobile friendly, but don’t stop there! 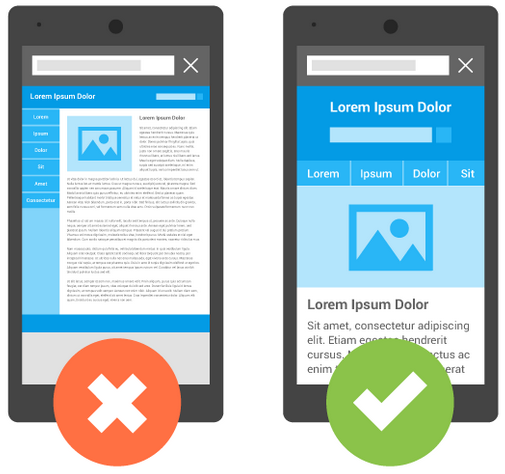 Optimizing for mobile is a continual process and should be checked and tested regularly. Test page speed, responsiveness, and how elements like forms and menus work across all devices. Checking how your funnels look and work on tablets isn’t a bad idea either. Just head over to Screenfly, or a similar site, and go through anything your subscribers might do and view through the devices they use most. Remember, optimizing the mobile experience for your customers is the ultimate way to increase your rate, but it isn’t a one-time thing. Optimization should be a continual process as new technologies and updates continue to come out. Have you set the best conversions to meet your goals? Is what you’re trying to get customers to do on mobile quick and simple? And finally, is the foundation of their experience a fully mobile-optimized experience? So, what do you think about optimizing conversions with the mobile experience in mind? Let us know in the comments. Also, feel free to share this post on social media for those struggling with their mobile conversion rates!